“Setting the Table” is now a favorite book of mine. 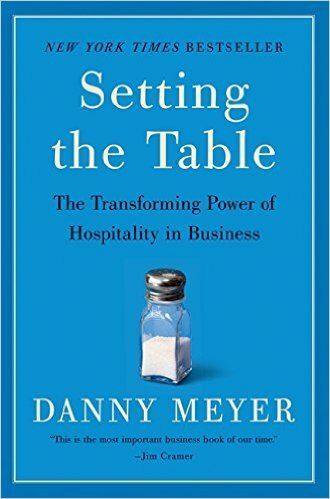 Danny Meyer’s approach to serving customers with “enlightened hospitality” is applicable for every business. Danny maintains an honest voice throughout, never sugar coating the lessons learned through the pains and joys of growth. From these sometimes difficult choices and experiences he delivers an inspiring treatise on hiring, culture and values. I was left particularly challenged by the chapter on recovering from mistakes. Mistakes are never exciting but they are informative. To an extent we should not beat ourselves up for failing perfection, but embrace the chance to learn.When it comes to customers you have a chance to “write a great last chapter”. Had the mistake never occurred neither would the service opportunity. Summary: A great read mixing business narrative and philosophy. Giving a window into a thriving, ambitious business.